Home > Diagnosing an Allergy > What is Gluten Toxicity? A gluten allergy is a malabsorption disease that affects many people in the UK. 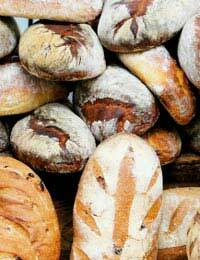 When gluten toxicity occurs in someone, it is the body finding it difficult to get the required nutrients from foods. Gluten allergy sufferers cannot digest gluten products and it is because of this that they are experience unpleasant symptoms such as bloating, stomach pain, bowel discomfort, headaches and depression. Weight loss is also a symptom of gluten allergies and in children the allergy can affect growth development. The child may not flourish in the way he or she should. This in turn makes the bowels become flattened and so getting rid of waste products and toxins becomes difficult. The bowel will turn irritable, becoming more permeable, which is when sufferers develop symptoms as larger proteins are able to pass through. The body’s response to this is to producing more histamine, seratonin, kinins, prostaglandins, and interleukins and they can all trigger or aggravate autoimmune and inflammatory illnesses. It is often difficult for doctor's to diagnose a gluten allergy and so it is important to be aware of the symptoms and if you have concerns, to consult your doctor or take a home test. A gluten allergy can occur at any time in life but it is an hereditary condition. Those who suffer from gluten toxicity will often find close relatives also suffer. Diagnosis of gluten allergy has always been quite challenging as the symptoms vary so much from patient to patient. Symptoms of gluten toxicity are similar to other ailments, such as intestinal infection, irritable bowel syndrome, iron deficiency, chronic fatigue and Crohn’s disease. A person may have a combination of these problems, which can be aggravated by a gluten allergy. Often, patients are given many different diagnoses before the correct diagnosis is given. A gluten allergy can also be brought on through stress, infection, surgery and childbirth. To be sure to avoid a reaction, those suffering with the allergy or believe they have symptoms of the adult allergy should consult a physician or dietitian who specializes in allergies such as these. They will be able to help devise a gluten free diet plan. Even once a sufferer knows the type of foods that are gluten free, it is still important to read all food ingredient lists carefully to make sure that the food does not contain gluten to avoid a reaction. Keeping a gluten free diet involves staying away from all foods that contain wheat, rye, barley, and oats. These ingredients include most grain, pasta, cereal, and many processed foods. It is important to check what is in the food being bought to avoid gluten toxicity. A well-balanced diet can still be maintained. There are plenty of substitutes for those everyday products. Instead of wheat flour, for example, potato, rice, soy, or bean flour could be used. In larger supermarkets, health shops and specialist stores gluten-free bread, pasta, and other products can be found. With research and help from a doctor, those with a gluten allergy can live a healthy lifestyle.